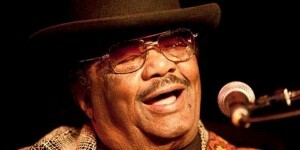 Blues Lovers United of San Diego » TOMCAT COURTNEY’S 90TH BIRTHDAY CELEBRATION ON 1/24! Blog > Events > IBC > TOMCAT COURTNEY’S 90TH BIRTHDAY CELEBRATION ON 1/24! TOMCAT COURTNEY’S 90TH BIRTHDAY CELEBRATION ON 1/24! Come join us for a Special Birthday Celebration!